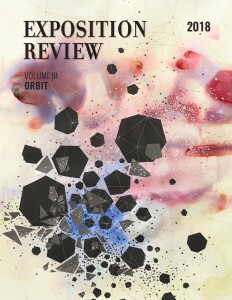 Exposition Review is thrilled to announce that Vol III: “Orbit” is officially live! After months of reviewing work across genres and our readers staying up long hours and editors passionately debating the merits of their favorites, we narrowed down our final pieces into this year’s annual issue. It’s full of some of the best work we’ve been able to publish. You can read more about the process, the theme, and our tireless group of supportive volunteers in our Letter from the Editors. 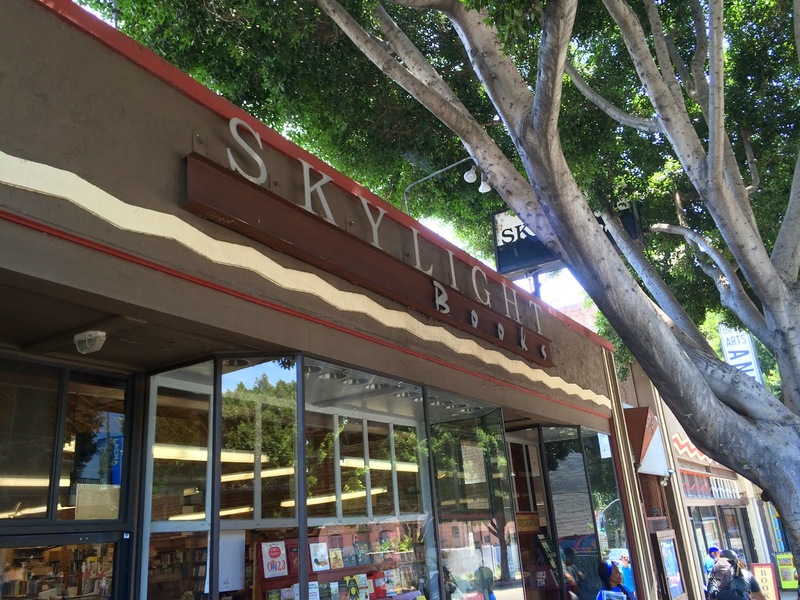 To celebrate, we hosted a launch party at one of LA’s most iconic bookstores: Skylight Books! 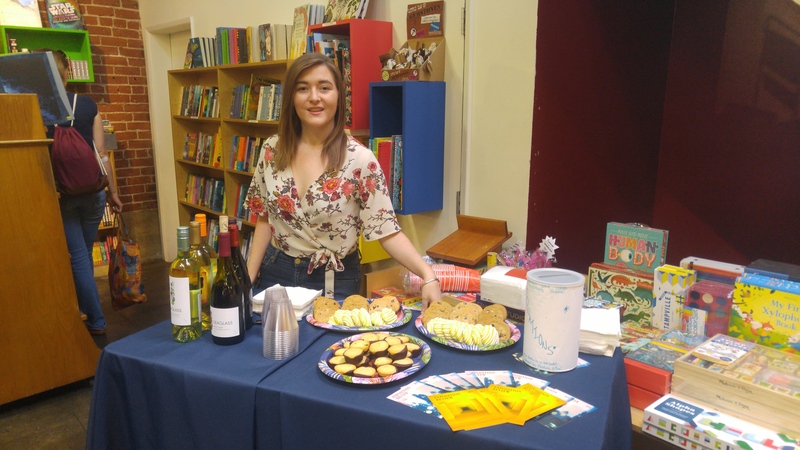 We were thrilled to partner with Skylight Books for our launch event, and on Independent Bookstore Day to boot! 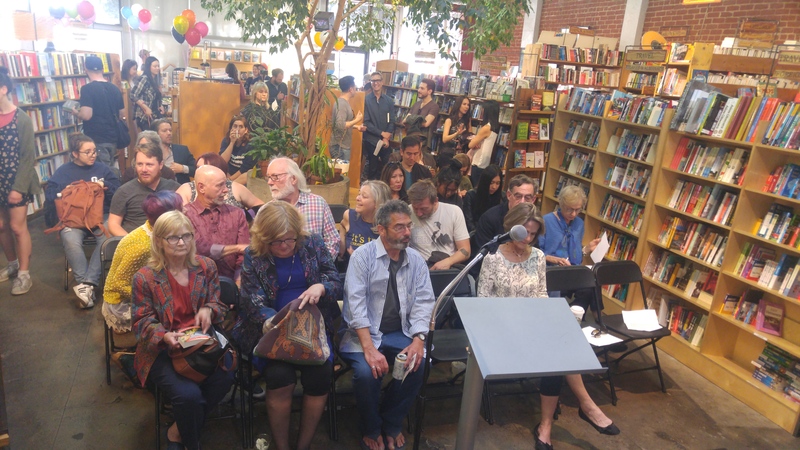 Not only do we admire this bookstore for its roots in the LA literary scene, but their attention and kindness as hosts was also clear to everyone in the room–especially those getting seconds on that Skylight Books cake! 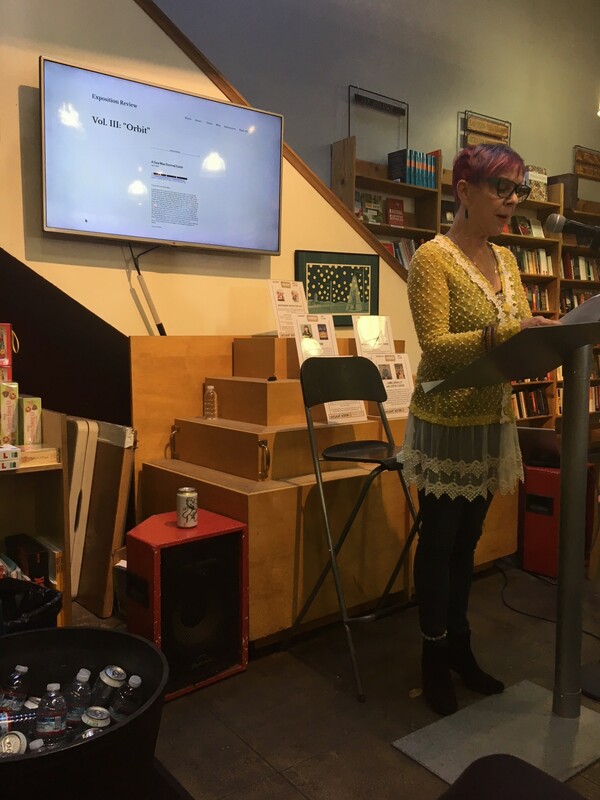 An hour before the reading, Vol III: “Orbit” went live on our website! We displayed art from the issue on the big screen of the store, such as the beautiful cover from Val Britton (check out more of her work here!). We had a unique lineup of readers: WriteGirl mentees, essayists, memoirists, fiction writers, and actors. 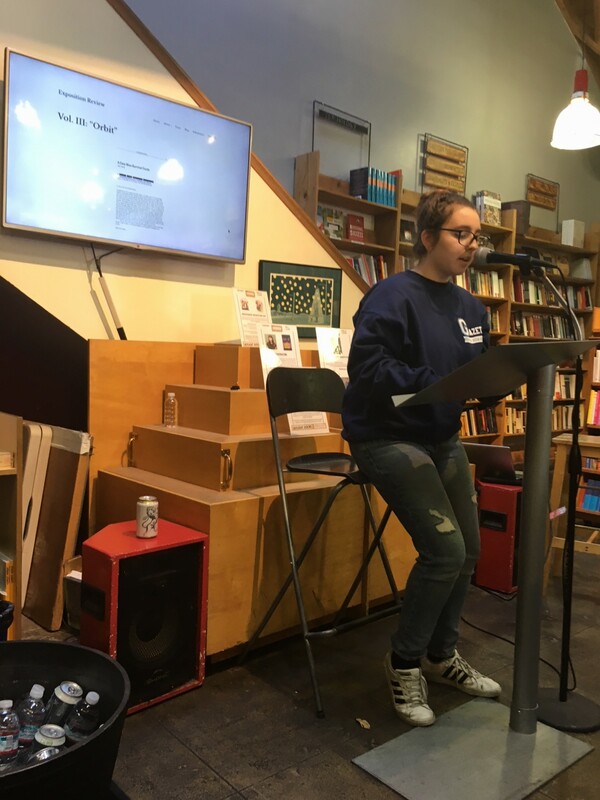 In the spirit of Independent Bookstore Day, each reader shared books that were their personal favorites: from Douglas Adams’s Hitchhiker’s Guide to the Galaxy to David Foster Wallace’s The Pale King. 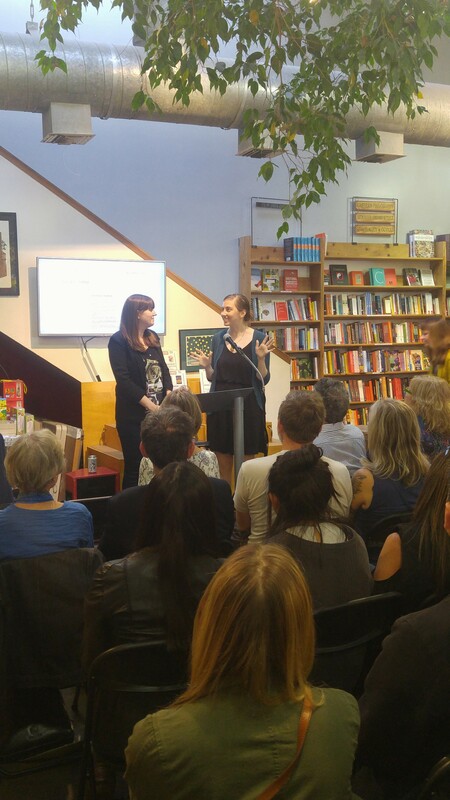 The evening was a great mix of passion and prose. 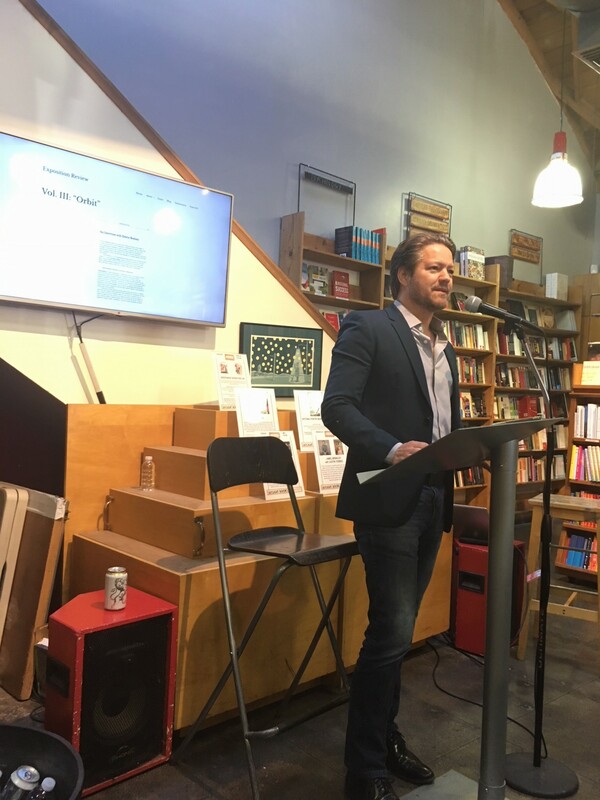 Readers Jason S. Dennis and Cira Davis read from their stories with the dark humor yet eerie realism captured in “Of What Fred Dreamed” and “The Impermanent Scar”. 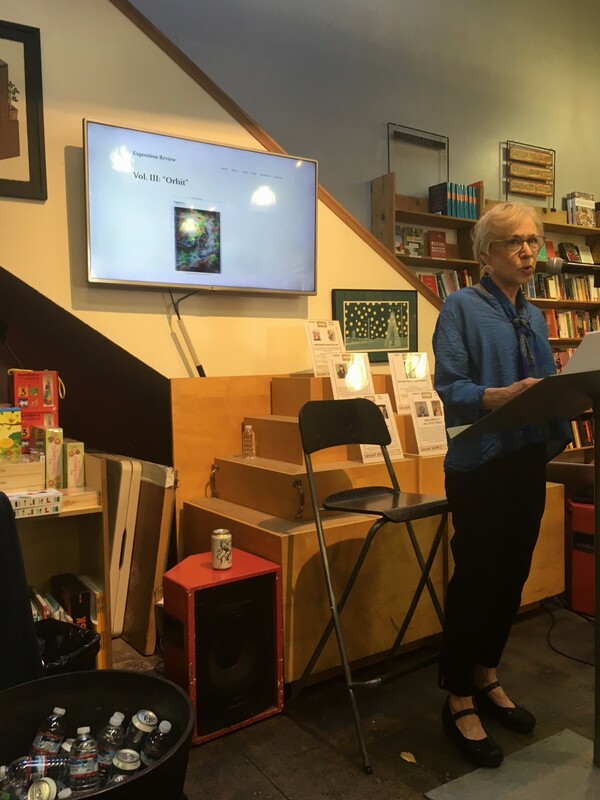 Both Sherry Shahan and Renee C. Winter shared their nonfiction works “The Rabbit Died” and “Daughters Float out of Orb” about dysfunctional families and the powerful women at the center. Robert Petkoff nailed the voice and humor of multiple characters from Charles Leipart’s “Chez Rikers”. 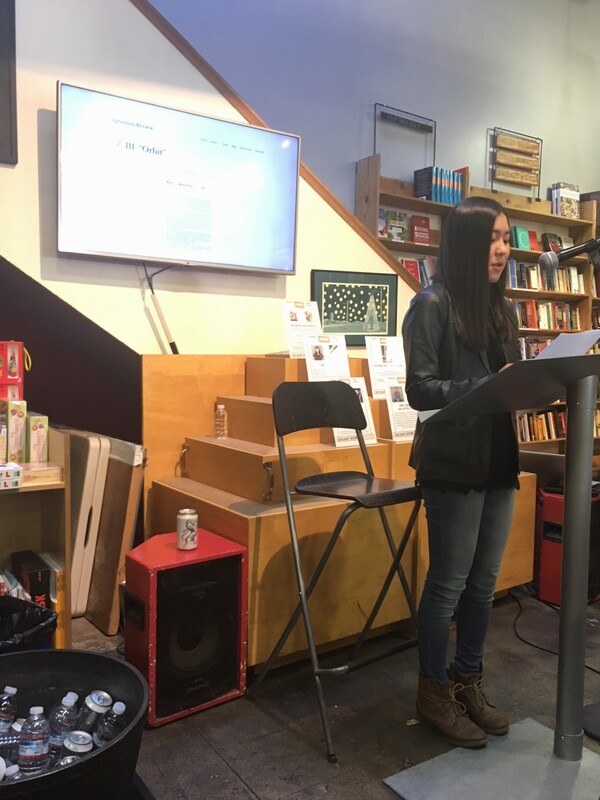 You could hear a pin drop at the emotional, dramatic work of “Ghost Interview in the Peach Orchard” by Xochitl-Julisa Bermejo as read by editor Mellinda Hensley or during Drew Shinozaki’s reading of her fiction piece “Numbers”. Cira Davis reading "The Impermanent Scar"
Sherry Shahan reading "The Rabbit Died"
Jason S. Dennis reading from "Of What Fred Dreamed"
Renee C. Winter reading from "When Daughters Float out of Orb"
Afterwards, we enjoyed wine, desserts, and conversation. 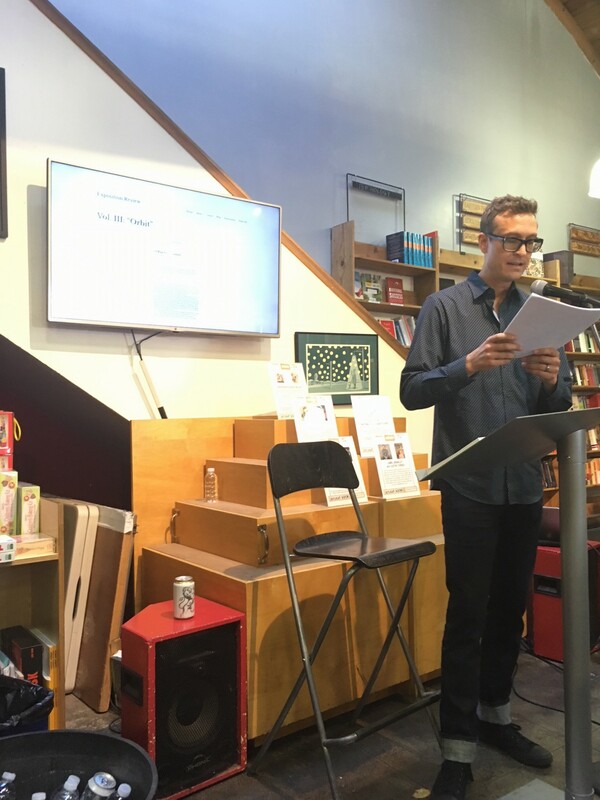 Thank you to all who came to listen and, of course, those who came to read. It means so much to the work we do and to be able to share this issue not only with our local LA family, but with our writers, editors, and readers who live far beyond these borders. Check out our full issue here and follow us on social media to stay up to date on upcoming events, calls for submissions, and more!